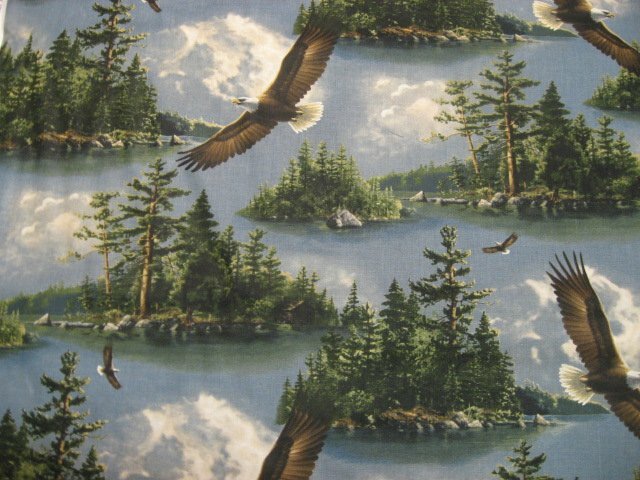 Eagles flying over lake scene - clouds, islands, pine trees. Pretty 100% cotton fabric. 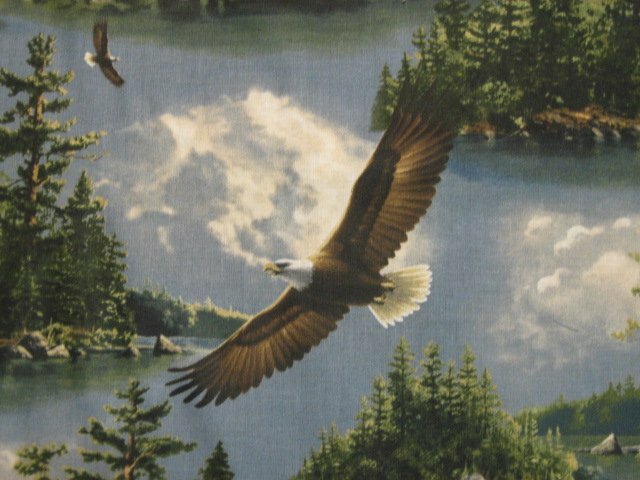 Beautiful 100% cotton fabric. Each yard measures approximately 36"X 45".